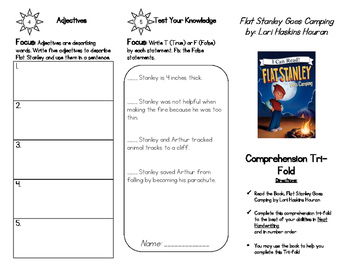 This file is in the style of a brochure and is all about the book Flat Stanley Goes Camping by Lori Haskins Houran. 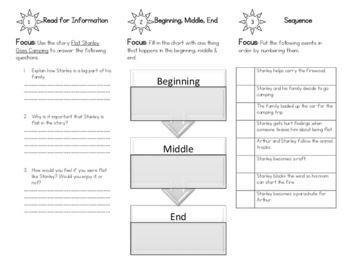 This can be used in centers or as a study guide for the story. 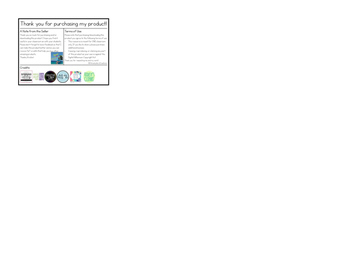 There are five sections of this assignment that include having the students go over sequencing, Plot, Adjectives, basic short response comprehension questions, and true or false assessment.